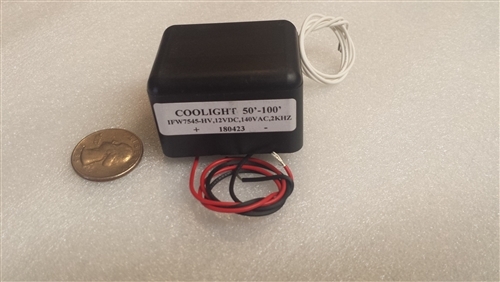 Our CLHB model EL Wire is engineered to handle higher voltage to further increase brightness. If you want to use this inverter on non-CLHB EL Wire we recommend that you check with the wire manufacturer or distributor before hooking it up to your wire. Most EL Wire inverters operate in the 80-120vac output range, these inverters are in the 140-155vac range.